Amazon has made a deal with three universities to manage "co-branded websites" selling textbooks and basically everything a college bookstore sells from textbooks to sweatshirts to Red Bull, according to reports. The Seattle-based company will open up two distribution centers at Purdue University and the University of Massachusetts Amherst and offer its next-day delivery, according to the Wall Street Journal. At the University of California Davis, Amazon will be working with the bookstore rather than opening with a distribution center. Companies running college bookstores isn't new. Bookstore Barnes & Noble and education retailer Follett Corp. already dominate the $10.3 billion market, so Amazon would be considered a latecomer -- but a latecomer that most college students already use, according to college officials who also estimate that students will be saving $300 to $400 a year by using the new Amazon Campus bookstore. Amazon will be giving the two college distribution centers a 0.5 to 2.5 percent for purchases made through the site and that will at least be $1.45 for UMass Amherst and $1.7 million for Purdue, the WSJ reported. The next-day delivery to code-activated lockers on campus still only applies to students who are Amazon Prime members and pay a $49 fee each year, but there is also a free six-month trial for student who don't want to commit. 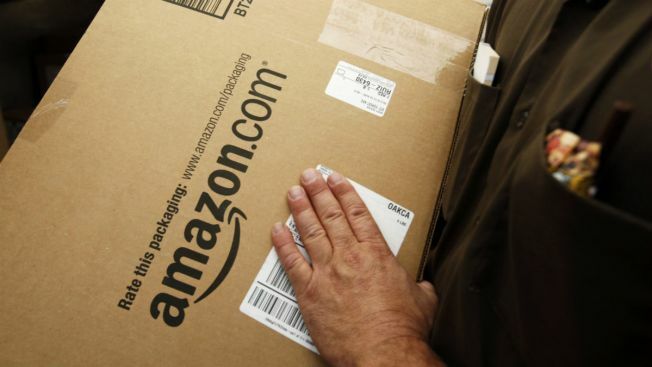 The next-day delivery is attractive and students already tend to be familiar with Amazon. Warren Sapp Accused of Soliciting Prostitute in Ariz.
“Many of our students, we found, were Amazon customers anyway, so it made sense for us to do a deal with them,” Mitch Daniels, Purdue president and former Indiana governor, told the WSJ. For Amazon, this move isn't really about making a lot of money in the short term or at the college bookstore. Instead, it's about creating and nurturing lifelong customers.